My last two apartments have had minimal closets, but both have great space over our kitchen cabinets. This space inspired the idea of a very urban "kitchen attic". 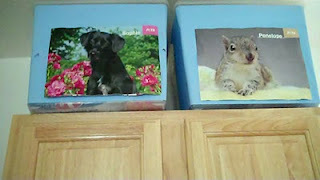 I bought five inexpensive clear plastic boxes with lids, then covered each with contact paper (to hide the mess) and an image of a cute rescued animal from an old PETA calendar. I then filled the boxes with items I use less often than once a week. I grouped items in the boxes according to purpose (eg. party supplies, holiday decorations). I also made sure to record each item under an index card with the name of the animal on the box. 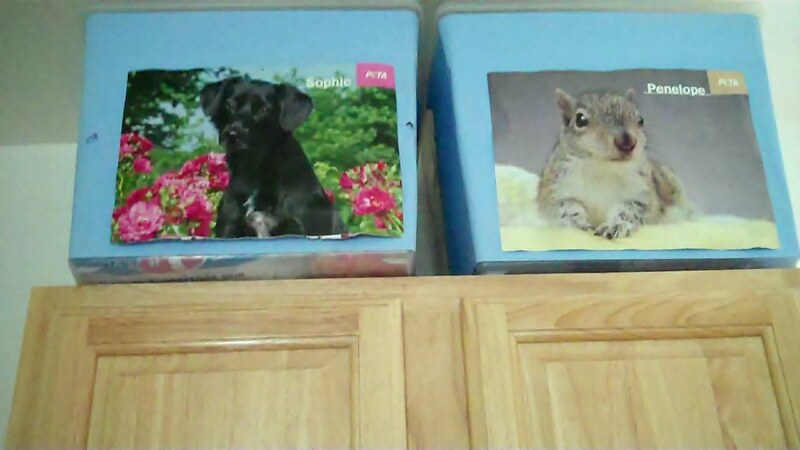 I keep the index cards banded together in the stationary drawer in my kitchen. Tips: If you do this, be sure to measure the height, depth, and length of space you have. Bring tape measure to the store to assist you when choosing the right size and number of containers. Also, when filling the containers, consider how much weight you can safely lift and hold.